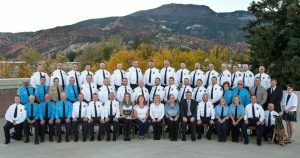 Mission Statement: The Cedar City Police Department shall lead in developing collaborative working partnerships with all of our community and service providers, so that each and every citizen may enjoy the highest quality of life. Personalized community service shall be provided by each and every member of the department. Through our leadership, courage, and relentless pursuit of service excellence in problem-solving partnership with the community, the Cedar City Police Department will be the leader of community excellence.